Whether selling a large or small home, curb appeal is one of the most basic elements that draws potential buyers into your home. 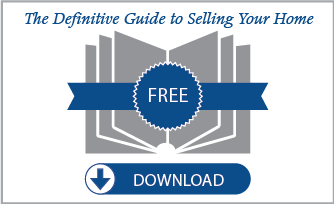 In setting yourself apart from the crowd, you ensure greater success of selling your property for top dollar. This does not necessarily encompass an expensive undertaking. However, it may take a little creativity and an eye for art. When adding value to your home, there are some things that stand the test of time. A clean home is always appreciated. Ensure oil stains, dirt, grime, and mildew are removed from driveways and the homes base. Wash the outside of the home, and clean both sides of all windows. Make sure all tools, toys, and miscellaneous items are stored in their proper place. If your home has a pool, make sure it is free of chemical residue. A perfectly manicured lawn complimented by immaculately shaped shrubs consistently garners attention. Therefore, consider hiring a professional lawn service. The modest investment is well worth receiving top dollar for your property. Colors also add tremendous value to the outdoor home. Plant beautifully colored flowers appropriate for the season. This should be done in a systematic fashion. Flowers may line driveways or encircle the base of trees. Accent colors are very common and can be used on front doors or pillows that compliment lawn furniture. Yes, lawn furniture is an excellent way to add value to your outdoor home. From simple to elaborate, outdoor kitchens and barbecues create tremendous value and can be done on a modest budget. 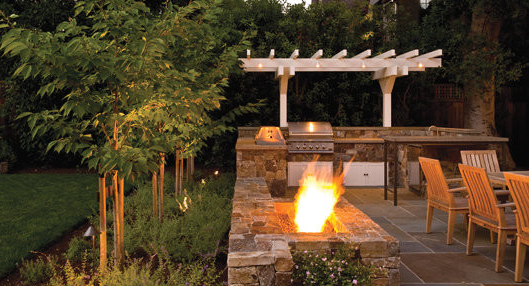 Outdoor fire pits can be built or installed quite easily and serve as the centerpiece for outdoor furniture and great evenings under the stars. Water features create a smooth, tranquil atmosphere and can be very low maintenance. 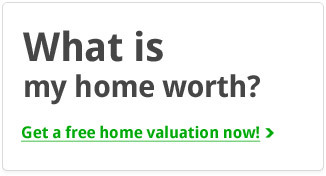 However, their value sets you apart from competitively priced homes. Exterior lighting serves a dual purpose. In addition to enhancing safety, exterior lighting adds value by creating an ambiance on par with many five star hotels. Sensory lighting can be strategically placed to illuminate hidden or dark areas of the home. Accent lighting can be positioned to illuminate trees and the exterior of the home from the ground up. Some homeowners may prefer solar lighting to illuminate drive and walkways. Depending upon the current make up, consider stone accents on the exterior of your home. Stone may border front doors, garages or a number of places. 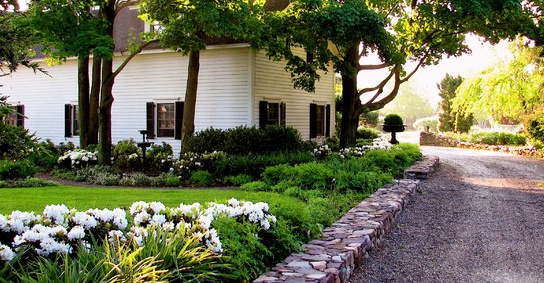 If possible, consider a stone driveway in lieu of standard concrete. Most homeowners know an attractive property when they see it. Therefore, it is important to physically look at your home and assess it honestly. Does it look like every other home? Does it stand out? If you answer these questions unfavorably, be encouraged. You have a great canvas on which to create your masterpiece. You can derive many ideas from magazines and Internet resources. Take a lesson from the pros, and create a masterpiece that would turn heads or make you reconsider the sale, if possible.